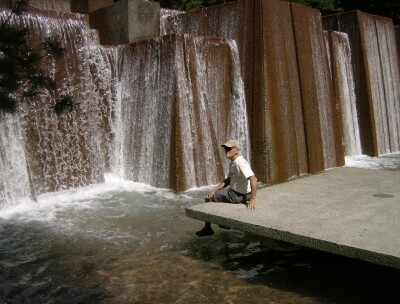 My best friend Steve settles in, hard by the Ira Keller Fountain in Portland, Oregon, during their wonderful visit there a couple years back. 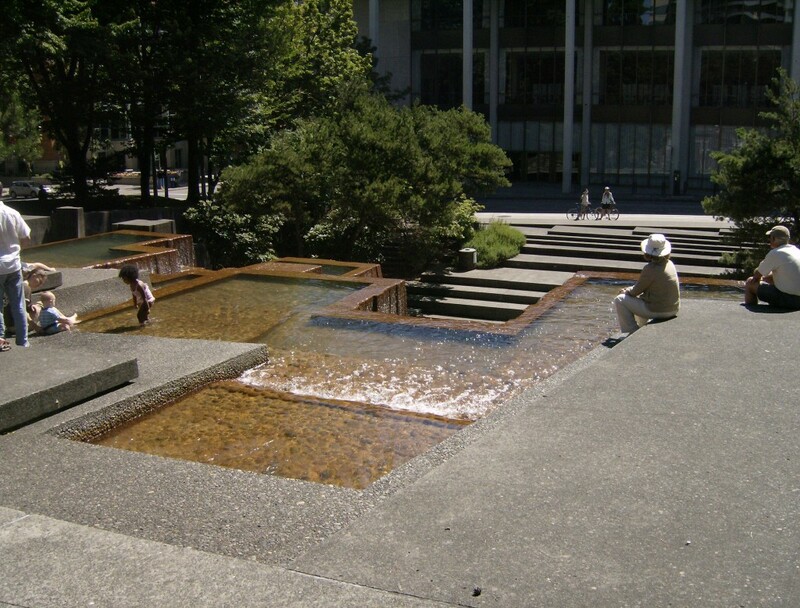 The Keller Fountain offers a full body experience which can be especially refreshing on hot Summer days. 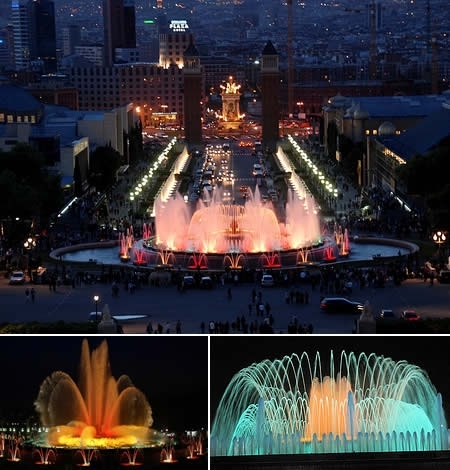 Fountains such as this were designed to enjoy up close and personal, a wonderful civic experience amid the workaday world and the hubub therein. 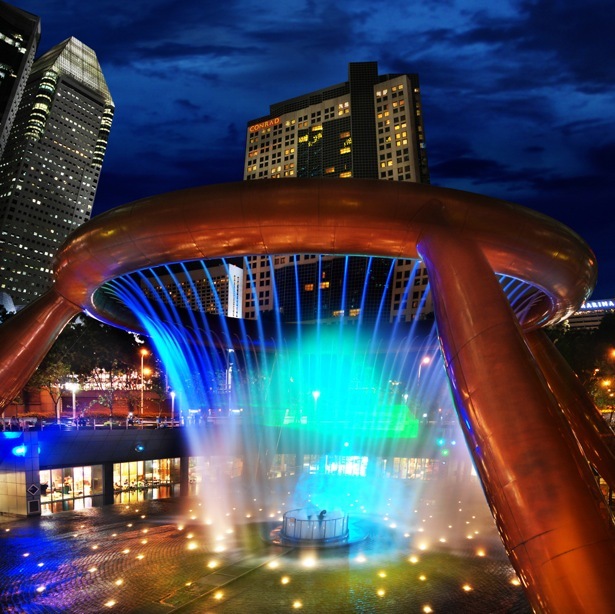 Public edifices are like smiles – no one forces you use them. They are a response to an urge to appreciate ourselves and therefore make absolutely no real rational or intellectual sense. Like anything which is beautiful, the wonder is implicit as we adore what we see. I believe beauty lights us up inside by its contagious nature. I think that’s why God invented beautiful men and women. I mean, you can have too much mud, let’s face it. 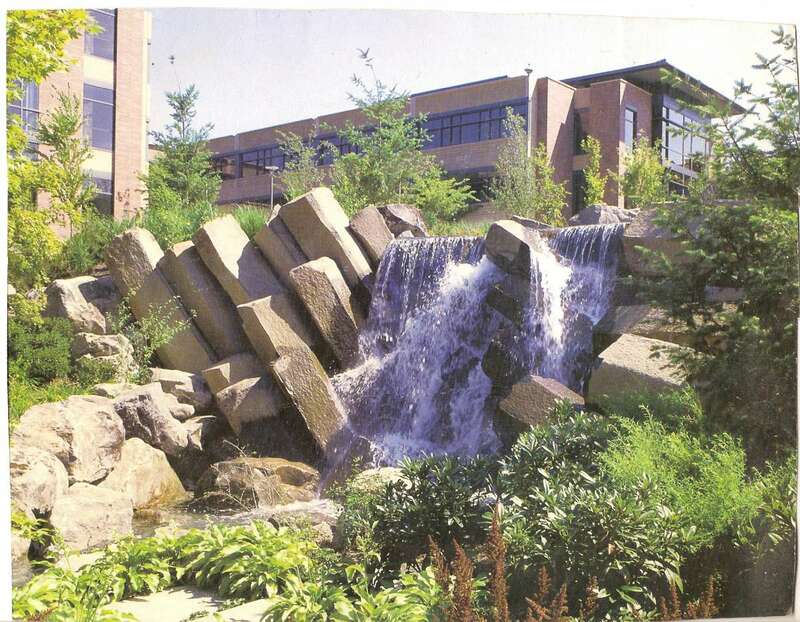 Below, we catch a stunning work of man in this constructed waterfall and a couple of huge lakes on the Papa John’s Pizza campus in Louisville. 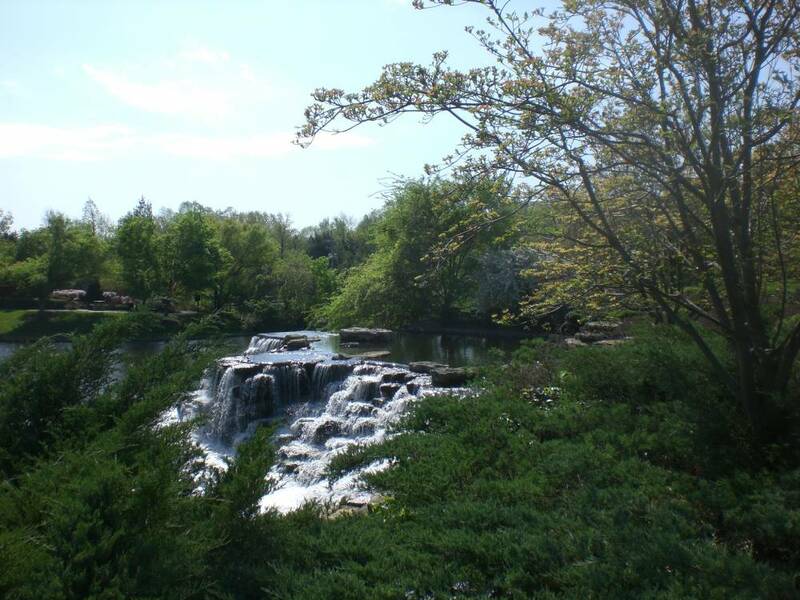 It’s a wonderful place to walk, with a landscape just completely enriching to experience. The scale is pretty much off the charts – an installer’s Paradise, with tiny little projects abounding. Catching the corporate Paradise urge, enlivening our outdoors with splendid works of architectural and constructed resemblances of Nature Herself, we go to Seattle and visit the amazing waterfall built by my friends at Teufel Nurseries for the Microsoft Campus. This one needs to be seen to fully appreciate. 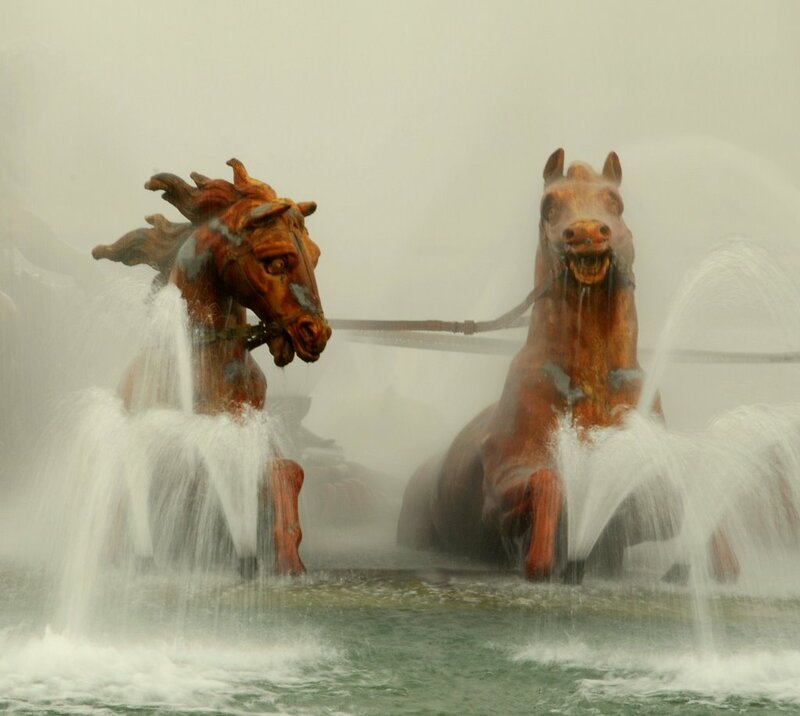 I’m a huge urban fountain fan. I love seeing a bustling population all buzzing around these “human flypaper” structures. Humans are plain drawn to water – it’s a trait we probably manifested back when we were fish – (I’ll ask a couple of my older friends to verify) – our children seem to believe water is magical, even when contaminated with mud. It’s just that cool! 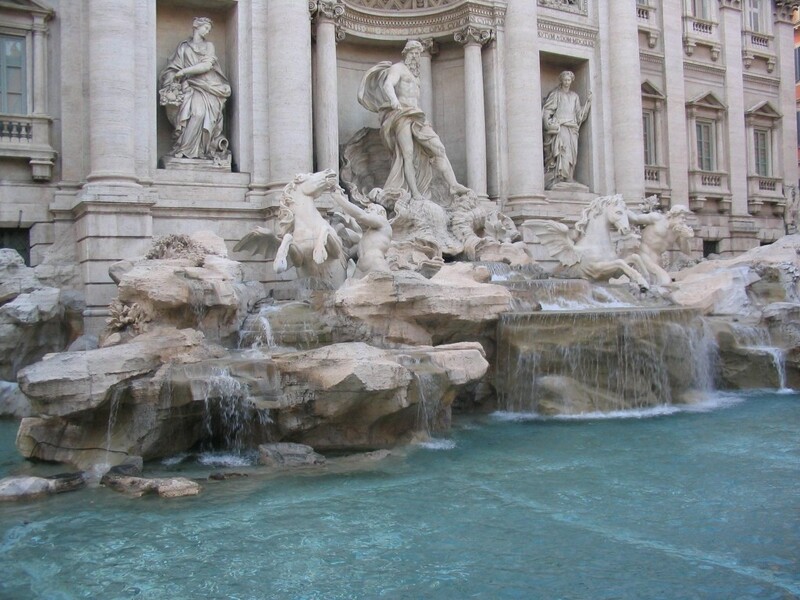 So what we get with these designs are not just the wonder of water itself, acting on us in all of water’s ineffably strange and subtle manners, but we also get to grade the structures made to support it all. This one below generally gets an “A”. It just doesn’t stop. Fun, vibrantly colorful, aided by lighting and engineering trickery, we look at such things and laugh. Their reason to exist is so tentative, yet so enabling for us all to catch our Souls as they smile. 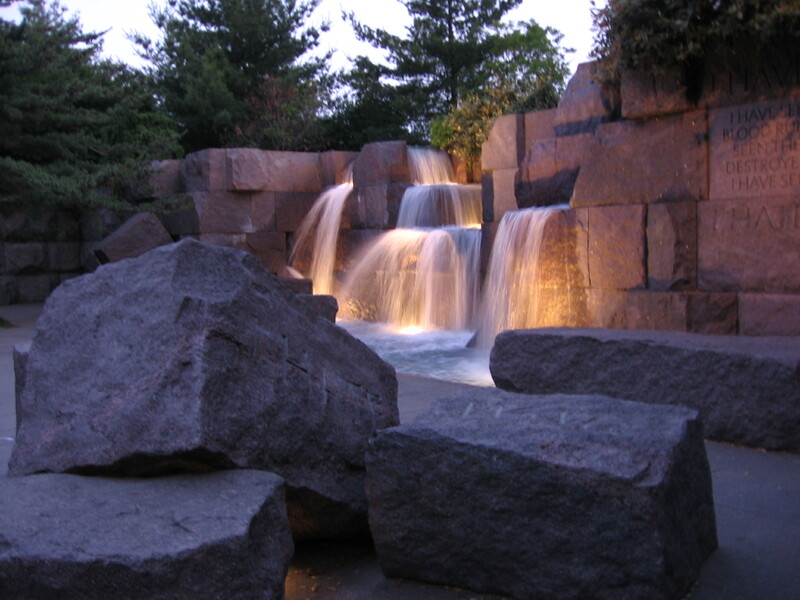 This entry was posted in Fountains, Water Features, Water features/Bubble Rocks by Steve. Bookmark the permalink. Incredible pics, thanks for sharing! 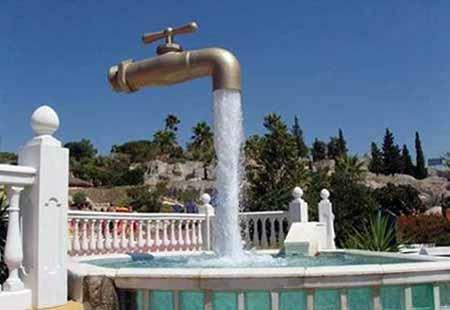 I just love water fountains unfortunately my home is too small for a big fountain, hahaha! I only installed a couple of water features in my small garden because I just adore the soothing sound of flowing water.